Chocolate Shavings: Have you ever had a puffball? 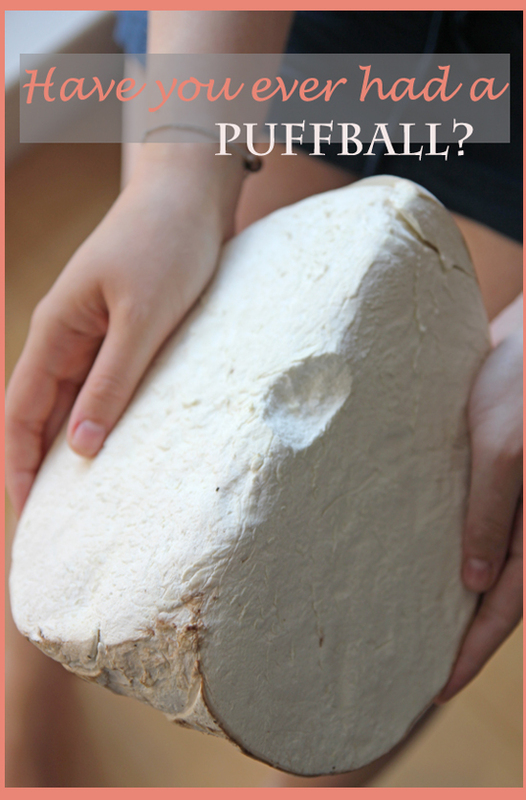 Have you ever had a puffball? This weekend, as I was strolling through the St Lawrence Market for some seasonal produce my eyes landed on this unusual specimen: a puffball! These large, rounded cream-coloured gems - part of the mushroom family - were my market-find of the day. I had never seen these anywhere before (have you? ), but after a little research I knew exactly how I would be serving them. Puffballs can be cooked much in the same way as regular cremini or button mushroom, although they have more of a soft, spongy, marshmallow-like texture. They reduce a lot when cooked and are best enjoyed warm. Even though I stocked up on heirloom tomatoes, golden beets and wild blueberries for the week, I was most excited about these over-sized cartoon-worthy goodies.With a little white wine, herbs and garlic, they make a perfect side dish. They soak up flavour with ease and plump up when cooked with wine. Add olive oil, butter thyme and garlic to a large saute pan on medium heat; cook for 2 minutes. Add puffballs, and a good pinch of salt and pepper. Cook, stirring occasionally for 5 minutes. Add white wine; cook for another 3-4 minutes, or until the wine has almost completely evaporated. Sprinkle with basil and serve. Enjoy! i've never seen or heard of puffballs, but they look so good and delicious! i adore mushrooms! I remember us foraging for and eating puffballs as a child, not done so since then so must keep an eye out! 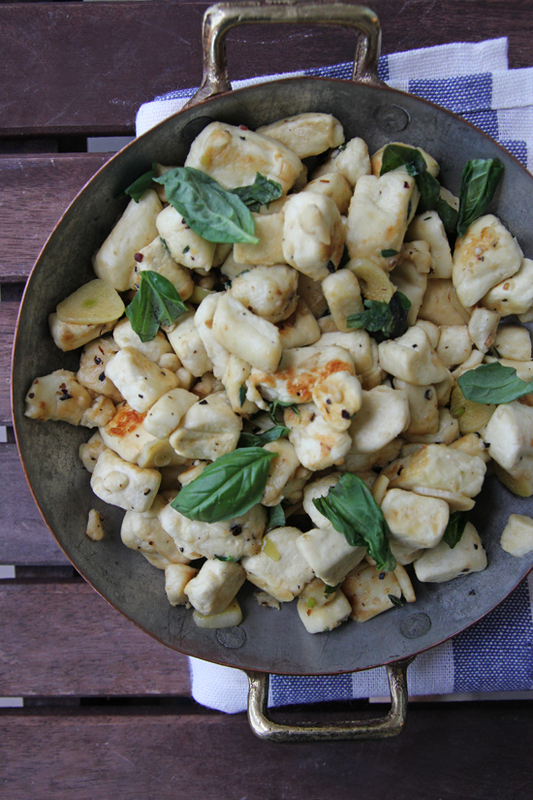 I have never eaten a puffball - so this is an interesting recipe. The puffball is impressive - I have never seen one before, but I will definitely be on the look out now! Obviously your puffballs are different to ours here in New Zealand. They grew in the paddocks on our farm when I was young but they were poisonous and we learnt from a young age to stay away from them. Yours are a lot bigger too.